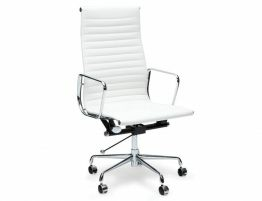 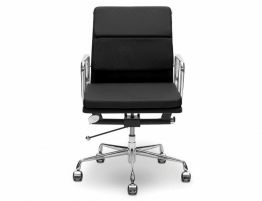 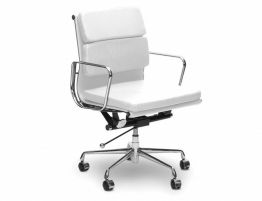 The Iconic Executive High Back Office Chair is a modern addition to any modern home or office. 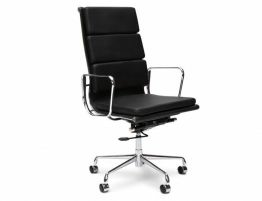 This Iconic office chair is made from a beautifully polished chrome plated steel frame, base and armrests, and is finished with a corrected grain leather seat. 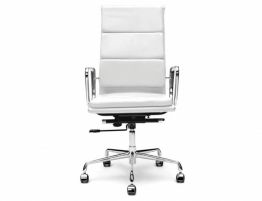 It has a solid authentic 5-star base, tilt-swivel mechanism and smooth gas seat-height adjustment. 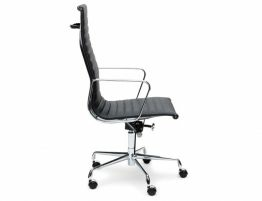 The Iconic Executive leather office chair is perfect for your home, office or board room. 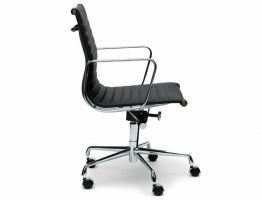 It has an ergonomic design that combines comfort with style and elegance.